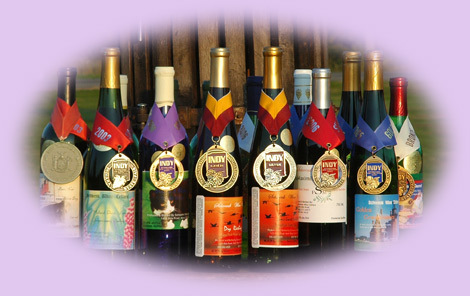 Our tasting room is open year round for tastings of our award winning wines and shopping. If wine tastings are a new experience for you, our warm and friendly atmosphere and easy to enjoy wines are a great place to start without feeling intimidated. Our wine list includes very few dry wines, leaning more toward sweet to semi-sweet. Even those who are new to wine tastings will be able to taste the distinct grapes, berries, and juices we combine to make our delicious wines. Some of our visitors and customers have commented that, while they do not normally like wine, when they try ours they like it very much. Paul (wine maker and co-owner) has carefully experimented with old family recipes passed down to him from his grandfather and great-grandfather--both were wine makers from Germany. 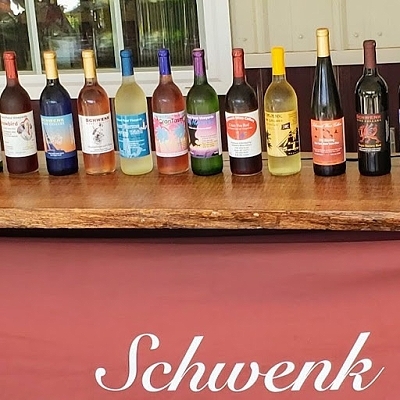 Schwenk wines are deliciously satisfying to the pallets of both experienced and beginning wine lovers. These are wines meant for you to relax, drink, and enjoy with friends and family on any occassion, whether casual or more formal. In our gift shop you will find gift baskets, painted wine glasses and painted cheese and cracker plates all handmade by local artists. These and other seasonal/holiday items in our shop make wonderful gifts and gift baskets. We will be happy to help you put together your gift basket, if you wish. So, please do stop by for a tasting ... we hope to see you soon!